Check out our ad for even more ways to save! Two of Pacifica’s most romantic scents, Mexican Cocoa and Persian Rose, are on sale this week with a savings of up to 25 percent! 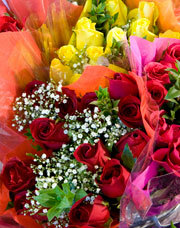 Pick up a beautiful dozen roses for only $18.99 this week. 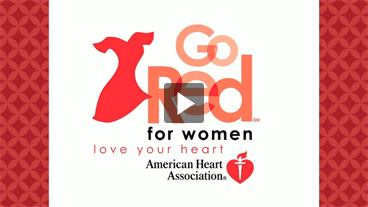 Nugget Markets is proud to be a major sponsor of this year's Go Red for Women events. We will be supporting the American Heart Association by selling hearts at all Nugget Markets locations from February 9 to 23. Show your support by purchasing a $1 red or a $5 silver heart; all proceeds benefit the AHA. We love this wine for Valentine’s Day — it has a bright red label and a smile on top of its cap! Plus, as a red wine, it’s heart-healthy. From our own Dr. Liz: “According to research, red wine helps boost heart health in several ways. Red wine is rich in flavanols, which act as powerful antioxidants. They keep the bad carrier of cholesterol, LDL, from damaging artery walls, thus lowering heart disease risk. Other compounds such as quercitin found in red grape skins also protect the heart by keeping blood substances called platelets from becoming sticky, thus lowering the risk of artery-clogging blood clots.” This wine is a great value at only $9.99, save $1. In keeping with our commitment to heart health for everyone, Nugget Markets supports the American Heart Association's First Annual Go Red Race, at William Land Park in Sacramento. For more information and to register, please visit heart.org/SacramentoGoRed. Nugget Markets is a proud sponsor of this year's Run Rocklin 5k, 12k, and kids fun run on Sunday, April 3. Run Rocklin benefits the Matt Redding Memorial Scholarship Foundation, which was established in honor of fallen Rocklin police officer Matt Redding. The Foundation supports the pursuit of education in the protective services. For more information, visit runrocklin.com or mattreddingfoundation.org. Prices valid 2/09/2011 – 2/15/11. February is heart health awareness month and we are excited to announce that we now have a new way to identify heart-healthy grocery items in our stores. Look for “Heart Healthy” icons on our shelves — they identify items that are certified heart healthy by the American Heart Association. Plus, you can download a list of heart-healthy items on our grocery aisles to assist you while you shop. Along with these new heart-healthy icons, you will also find lists and icons for items that are local, 100 percent organic, fair trade, imported, gluten free, low sodium, sugar free, and dairy free. We're teaming up with the American Heart Association again this year to promote a heart-healthy lifestyle. Show your love for your sweetie and his or her heart by serving up a heart-healthy Valentine’s Day dish . This recipe is proof you can eat heart-healthy and enjoy great flavor at the same time. With just 280 calories per serving, this recipe contains nearly 80 percent of the daily value of protein, along with the minerals iron and magnesium, known to protect the body against heart disease. 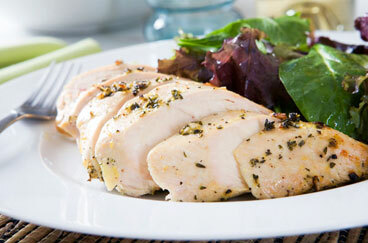 Our free-range, Fresh to Market boneless, skinless chicken breasts in the value pack are on sale this week, $3.99/lb., save $1.30/lb. “Go red” with this sweet, tart, refreshing and heart-healthy recipe. 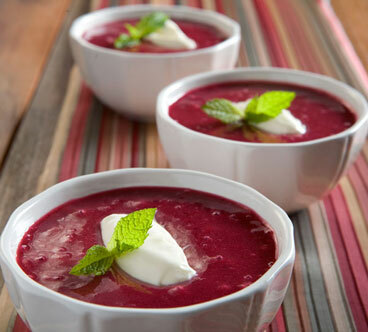 Our Apple Berry Soup contains heart-healthy antioxidants including Vitamin C and ellagic acid, both of which ward off heart disease. Plus, it contains just 150 calories per serving! We have one-pound containers of strawberries on sale this week, two for only $5! Consider this: Heart disease is the leading cause of death in both women and men, and what you eat (or don’t eat!) has a significant impact on your heart health. The American Heart Association recommends focusing on healthy eating and a physically active lifestyle rather than a “don’t eat that” approach. Know your fats: Emphasize heart-healthy fats such as olive and canola oils in cooking, and avocado and trans-fat free margarines as spreads. Limit full-fat dairy and hard cheese to cut back on saturated fats. Include a small handful of nuts 4 times per week and eat fish (3 to 4 ounces) two times weekly for essential omega-3 fats vital for heart health. Eat fiber-rich whole grains and beans: Select whole-grain cereals (especially oat-based) and breads along with brown rice and beans (canned or dried). Ample fiber intake helps maintain healthy circulating levels of cholesterol and steady blood sugar control. Go for produce: Aim for three pieces of fruit and 2½ cups of vegetables (raw and cooked) daily. Produce supplies both fiber and the mineral potassium, which helps maintain healthy blood pressure. Fruits and veggies also contain special compounds that protect artery walls from damage that leads to heart disease. Shake the salt: High blood pressure is a major risk factor for heart disease and for some people, too much salt (sodium) in the diet has a negative impact. Use less salt at the table and during cooking, and check food labels for high sodium levels – keep under 500 milligrams per serving of processed food.